A Peek At the Yarns That Red Heart Sent Me. 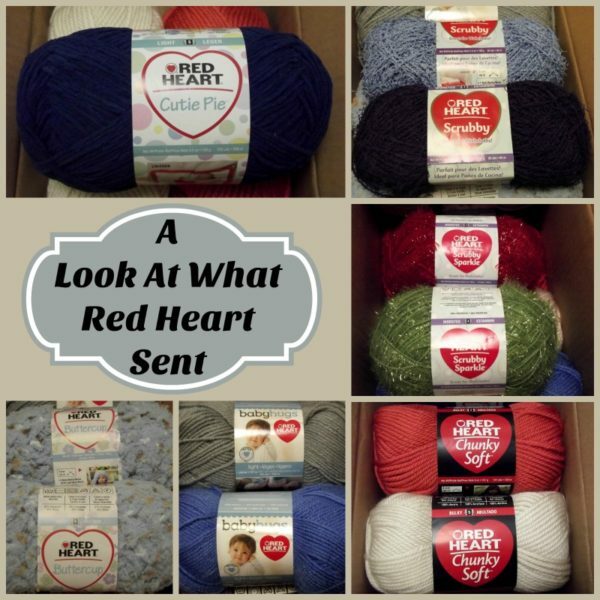 Today I’m so excited to share with you the yarns that Red Heart sent me. As you can see from the image above I got several baby yarns, two scrubby yarns and a beautiful chunky yarn. I have not worked with any of these yarns, so I’m super excited to experiment and do up a few patterns. Disclaimer: Although this yarn was given to me at no charge, I’m not paid to review anything. Any opinions in this post are solely mine. 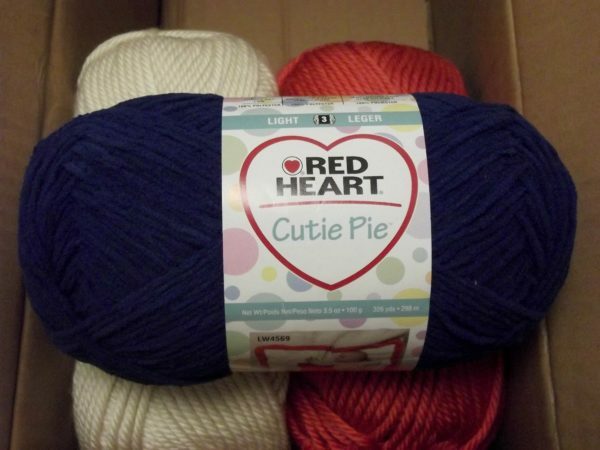 First up we have Red Heart Cutie Pie. It’s a Light (#3) yarn that consists of 100% polyester. And it’s a got a lovely soft and velvety touch, which makes it perfect for the baby. Another bonus of this yarn is that it looks like it’s got good yardage, so you wouldn’t need too many balls to get your projects done. I’m not sure on the stretch of this yarn, so am not entirely sure what to make with this one yet until I crochet up a small swatch to see how it works up. 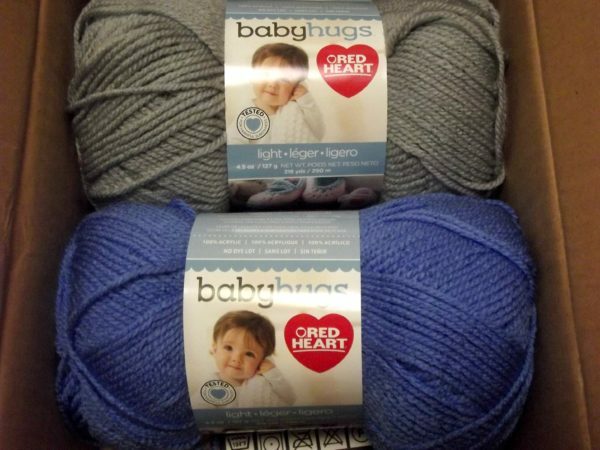 Next we have Baby Hugs, which is also a Light (#3) yarn. It’s an acrylic yarn, but it’s nice and soft for the baby as well. I’m thinking this would make for a lovely baby sweater, a hat and maybe even a pair of booties and mitts to match. Another baby yarn they sent was Red Heart Buttercup. This is a super soft bulky yarn with a blend of polyester and nylon. They sent me two balls of this, which should be enough for a soft and cozy baby lovey. The Chunky Soft yarn is also a Bulky (#5) yarn. It’s an acrylic yarn that’s perfect for just about anything and everything you want to make. 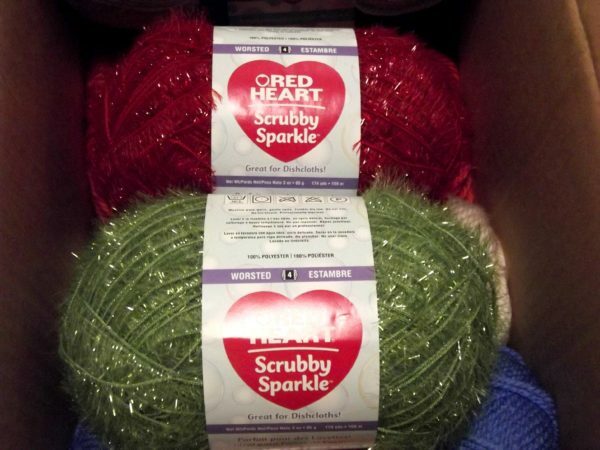 Then we have a dishcloth yarn; Red Heart Sparkly. It’s a worsted weight (#4), 100% polyester yarn. And it’s similar to eyelash yarn, which makes it perfect for scrubbing dishes and pots and pans. I can see lots of dishcloths coming from this yarn as it looks like it will go a long way. 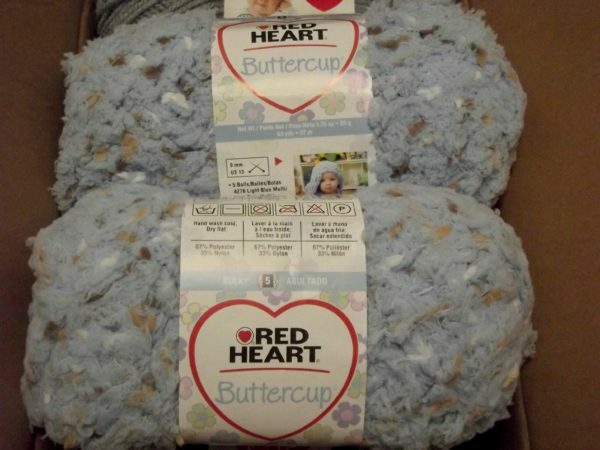 Last, but not least, we have Red Heart Scrubby. This is a heavy yarn. It’s also a worsted (#4) yarn made with polyester. And like the one above, it’s great for dishcloths and pot scrubbers. So that’s it. I hope you’ll stick around to see what kind of patterns I’ll come up with these. 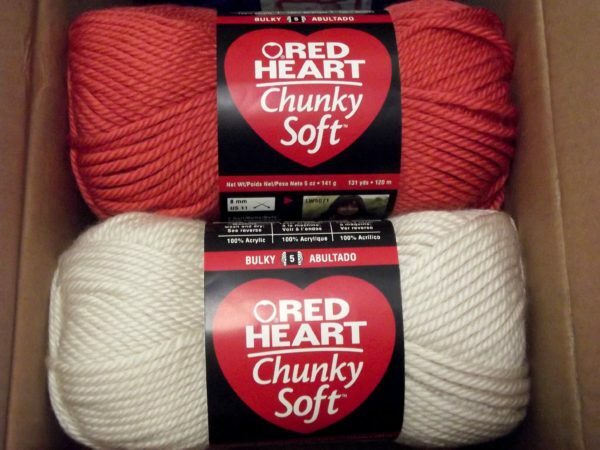 And in closing, I’d like to say a huge thank you to Red Heart for sending this yarn to me. 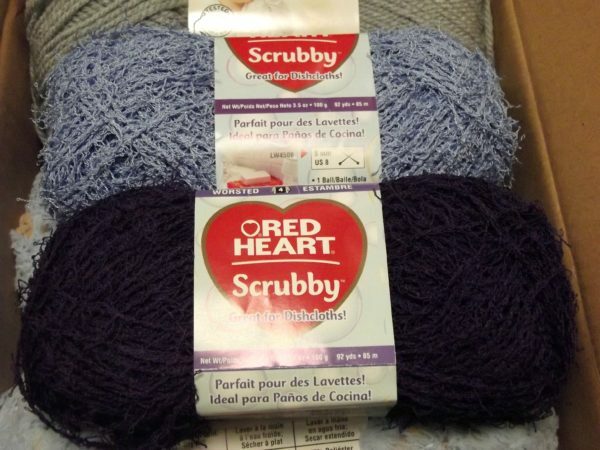 Hi, how do you go about receiving free yarn from Red heart like you did? It’s something they do for bloggers in hopes that we will like the yarn, do a pattern and link back to them. It’s a win-win for both parties that way.